Hôtel Drouot, the auction house, is slowly becoming hip under the influence of its dashing President Alexandre Giquello. 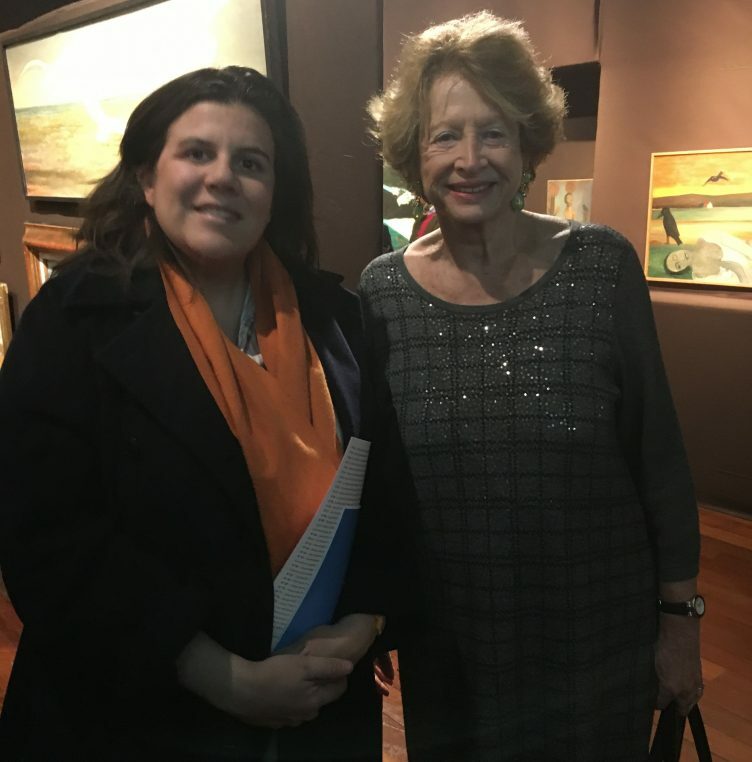 And the event, last week, was an exhibition curated by Natacha Carron Vullierme, of 80 paintings by Ferdinand Desnos. A witty naïf painter raised in the countryside near Tours, he only attracted a few collectors in his lifetime (1901-1958). Most of their children and grandchildren were present at the opening where some of the paintings had belonged to only one owner. A very rare event. It was fun to hear all the stories that Jérome Tubiana, Emmanuel, Judith and Martin Schlumberger, Gilberte de Turenne had to tell about their collections. 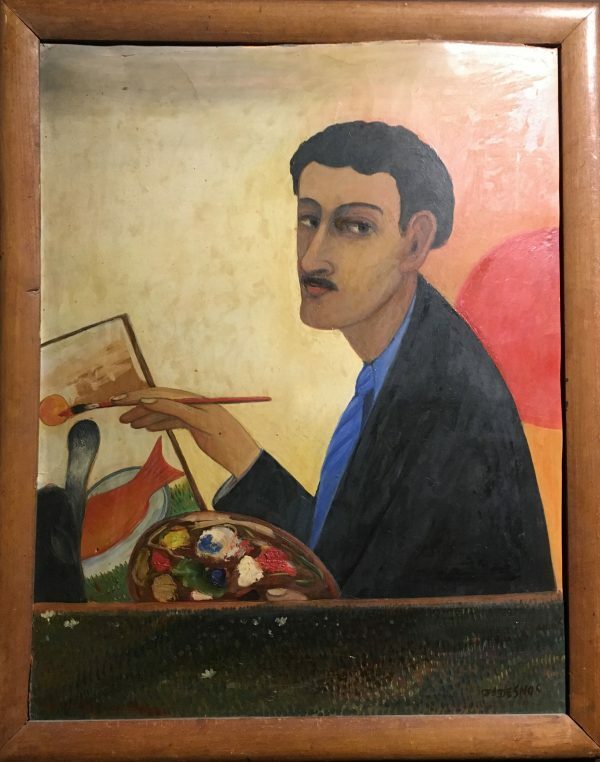 Ferdinand Desnos, the cousin of poet Robert Desnos, was a self-taught artist who died of pneumonia at 57. 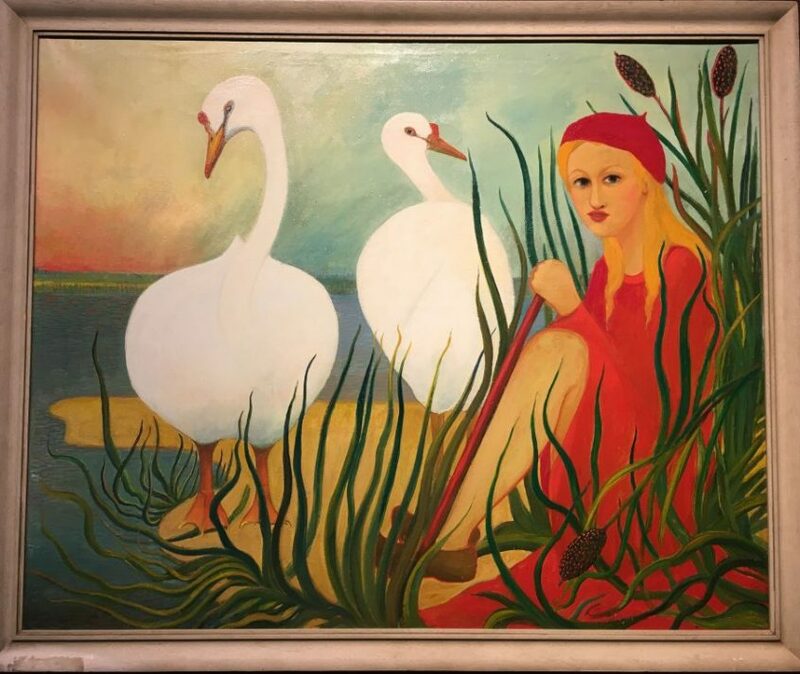 His paintings tell about lost paradise, hunting as a way to relate to nature, altar boys dressed in red and white, with a style reminiscent of Douanier Rousseau and Séraphine de Senlis. He spent his life doing odd jobs and ended up as a concierge on rue Gay Lussac, in the 5th arrondissement. This is where he met his collectors who befriended him after the war. 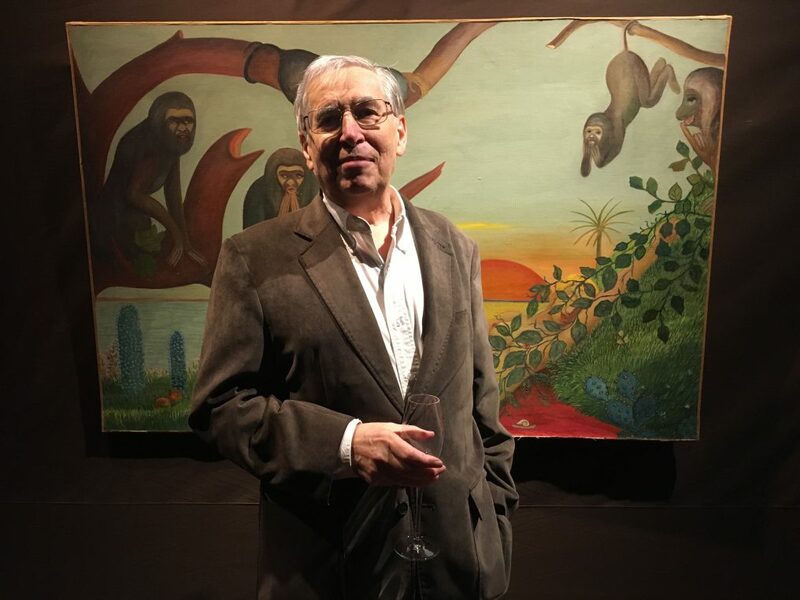 Paul Chadourne, a writer and close friend of the Surrealist and Dada movements was the first and he introduced him to Raoul Tubiana, a famous orthopedic surgeon who bought a hundred paintings and his brother in law, Rémy Schlumberger. The Museum of Petit Palais in Genève is one of the only institutions to have acquired his work. He shared with Paul Léautaud a passion for cats and made a few portraits of the writer. Through his cousin, Robert and André Breton, he met many intellectuals. 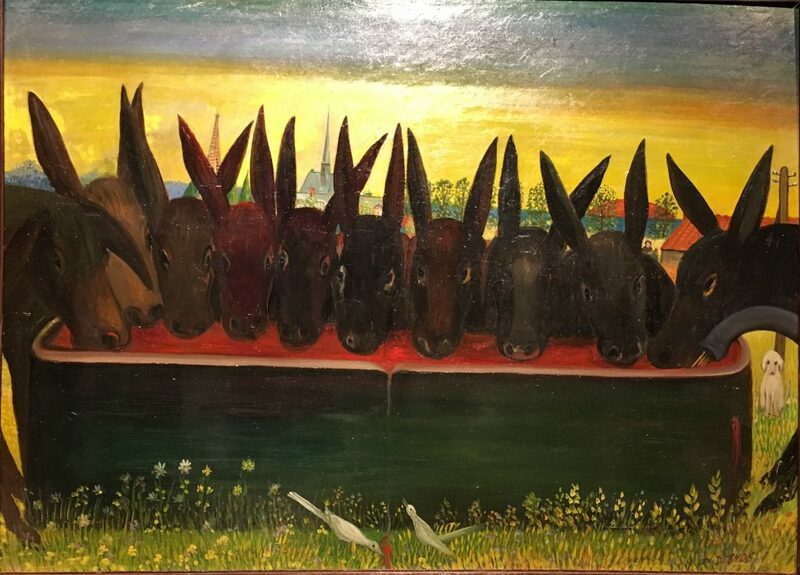 His works are featured in a film “La Bonne Peinture ” (Good Art is shown in the exhibition) directed in 1967 by Philippe Agostini whose wife Odette Joyeux was also a collector and where her son Claude Brasseur was a young actor. But this was not enough to make him famous, even posthumously. There is some religious influence in his works with paintings of weddings and processions in the fields. But what comes out mostly, is his love for animals and nature. 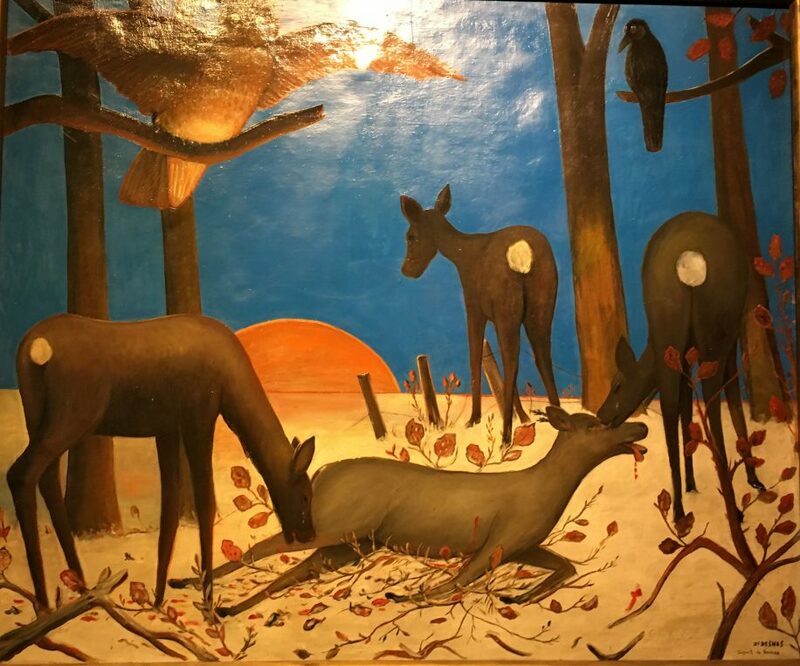 A painting of lady deers relaxing in the moonlight, a dead boar, monkeys, swans, cats, “Still life with a hare” and many descriptions of birds. 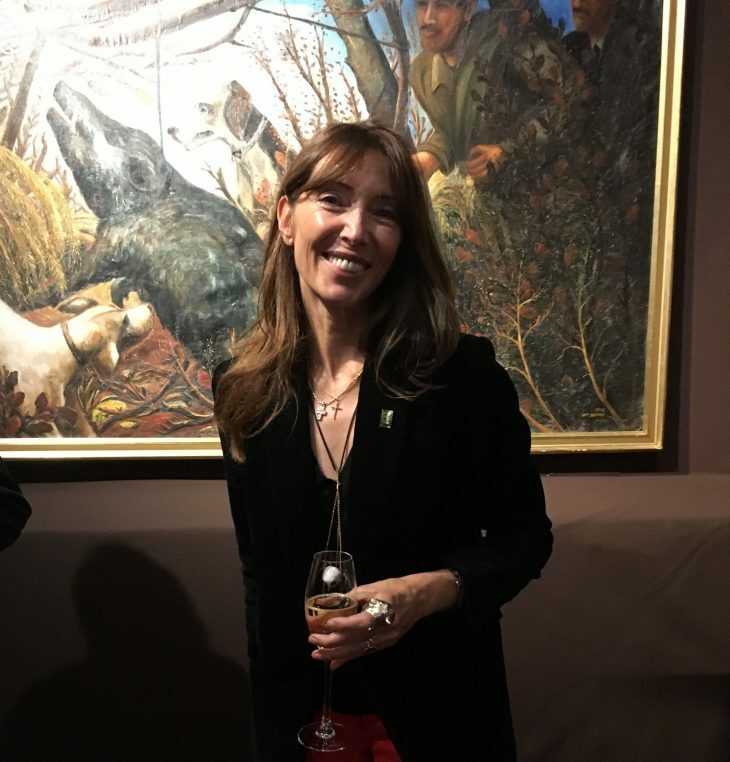 And the most admired painting was “The Creation, Hommage to Jheronimus Bosch” , from the Paul Chadourne collection, which comprises so many details of animals and history of art on all continents. None of these works are for sale at the moment and this extraordinary event for an auction house, is meant to help rediscover obscure painters. A show will be organized yearly at Hotel Drouot which is the largest museum in the world if you consider the amount of art that can be seen there every day! The atmosphere was extremely friendly around Jean Claude Binoche a keen collector of Desnos, Alexandre Giquello and all the admirers of the painter. 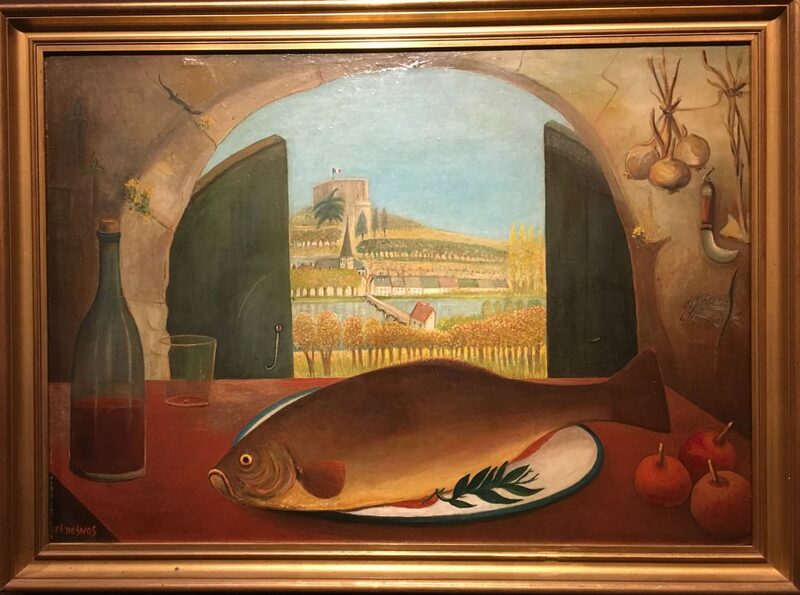 The influence of Maurice Denis in the religious paintings seemed obvious but Desnos’ spontaneity in style and his way of treating a carp with a landscape in the back is reminiscent of Italian paintings. The relaxed atmosphere of the opening which was very elegant with no one showing off, was a nice tribute to this painter who died poor and fairly obscure. It felt like his family was there to honor him. 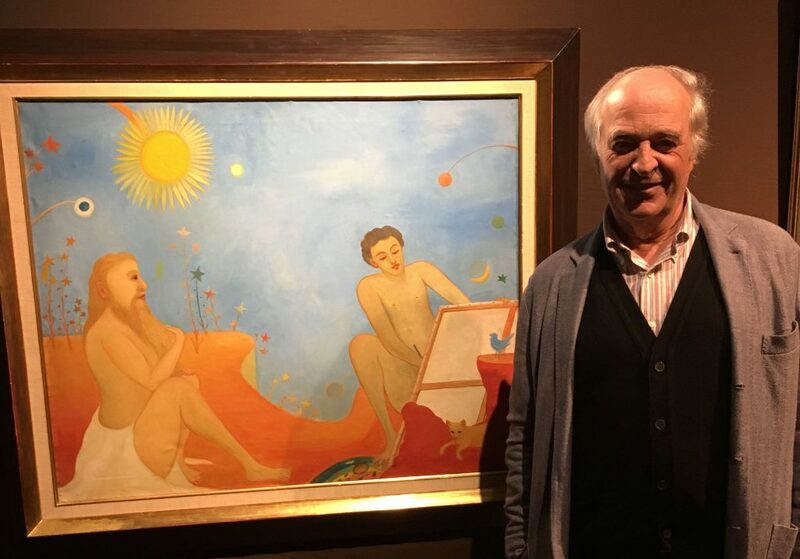 An exhibition of Naïve art at Musée Maillol will include him next year. So rush to see this unique show before he becomes the talk of the town. Until February 8, Hotel Drouot, 9 rue Drouot. Merci ma chère Laure de nous le faire – enfin – découvrir.